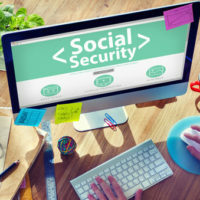 The laws surrounding how and when to claim Social Security benefits for a divorced spouse changed recently under the Bipartisan Budget Act of 2015. This law essentially set forth two sets of rules that need to be followed when attempting to claim these benefits. Getting divorced does not automatically mean you have a claim to social security benefits from your ex-spouse. In order to qualify, you need to have been married for 10 years or more, got divorced and are currently single. If you meet this description, you can obtain Social Security benefits on your ex-spouse’s earnings, even if your ex-spouse got remarried. You are entitled to file a benefits claim on your ex-spouse’s earnings if you have been divorced for two years or more. Though, both you and your ex-spouse need to be 62 years of age or older. There is also the possibility of filing a “restricted claim” for benefits that would allow you to collect benefits worth half of your ex-spouse’s full retirement benefits while holding off on claiming your own retirement benefits until you reach the age of 70. Under the Bipartisan Budget Act of 2015, the options described above concerning the filing of a restricted claim or independent claim is confined to people born on or before January 1, 1954. If you were born on or after January 2, 1954, you will be required to file for all available social security benefits, both your benefits and your ex-spouse’s benefits, and you will be paid the higher of the two amounts. This means if you made more money than your ex-spouse, you likely will only get your own benefits. You are only allowed to pursue a claim of 50 percent of your ex-spouse’s earnings they would receive when reaching full retirement age. However, this benefit amount will be reduced if you file for your own benefits prior to reaching your full retirement age. Full retirement age depends on when you were born. If you were born in 1937 or earlier, your full retirement age is 65. If you were born in 1960 or later, full retirement age is now 67, according to the Social Security Administration. If you were married for at least 10 years, got divorced, have remained unmarried, and your ex-spouse passed away, you can still file a claim for benefits on their earnings. You can file this type of claim even if you remarried after turning 60 years old. As you can see, a divorce can have lifelong implications. That is why it is so important to have an experienced Houston divorce lawyer by your side offering advice and counsel on the impact a divorce will have on your finances and retirement. If you are in need of a divorce lawyer contact the Houston law firm of Lindamood & Robinson, P.C. today.